Majority of new games "former THQ owned IPs and franchises"
Nordic Games has been around for quite a while, and was previously associated with pleasant but rather low-budget games on systems like Wii - long-term Nintendo Life readers will recall multiple We Sing games. Yet when THQ hit hard times Nordic Games was a surprise buyer (along with various other established names that scooped up development studios and game rights), and has since put acquired franchises like Darksiders to work with re-releases and remasters. Undoubtedly aware of its limited brand clout, it's now been confirmed that the company has been rebranded as THQ Nordic. The publisher and developer is also keen to put its acquired brands to work in future projects, stating in a press release that it has plenty of upcoming releases, most of which will utilise former THQ properties. Whilst we take great pride in our Swedish roots and accomplished a great deal under the Nordic Games masthead, we decided it was time to incorporate the THQ name. Those key brands will continue to shape our business in a meaningful way going forward, and THQ Nordic represents a core approach of doing much more than "owning" a highly competitive portfolio of IP. We cherish them, and align them with the very best development resources to expand upon them with the level of experience that communities and established fan bases expect and deserve. Side note - another upside to this whole rebrand thing is we don't get asked about the Nordic Game parties at Gamescom anymore – it was the other guys who threw them. With this rebrand we are entering the next phase in our company's evolution. It's worth clarifying that Nordic didn't pick up all of THQ's IPs, but those it did secure include the likes of Red Faction and Destroy All Humans. This is certainly positive for Nintendo gamers, we'd suggest, as THQ Nordic has shown decent support for the platform. After all, it recently confirmed Darksiders: Warmastered Edition for the Wii U, at a time when almost all major publishers have finished working on the home console. It'll be interesting to see what the company announces in the coming year. I just hope it all means good news for Nintendo going forward. No reason why not, they've been terrific thus far. And Darksiders 3(maybe subtitled Famine's Feast) please! For me THQ will be forever associated with terrible SNES licensed games. God knows why anyone would want to rebrand to that. I've always found the colouring of THQ's logo slightly strange: The letters stand for Toy Head Quarters; so, you'd think that the Toy would be considered the most important of the three words and that either the T would be red or both the H and Q would be red but not just the Q on its own. It seems strange to highlight the Q in red, like "Quarters" is somehow the key word in the name. But, I guess they just like the look of the Q in the logo and thought it would be nice to colour it. Or, maybe there's more significance to it than I'm aware of. I struggle to think of any THQ game I' can honestly say I enjoyed.I always associated them with wrestling games which my pals loved but I hated.I couldn't stand De Blob,mostly because of the stupid shake to jump.De Blob 2 I never went near,maybe I would have enjoyed that.Then Darksiders 2,I tried to like it,i want to like it but I have no desire to go back to it.Maybe if it wasn't such a poor port I'd have stuck with it.All in all,a poor developer that wont be missed,at least by me. There was some good THQ games for Xbox 360 and PS3 so that rebrand propably works well. THQ was one of those groups heavily associated with both awful licensed tat, but also genuinely great, interesting, original IP (de Blob, Darksiders, Saints Row, etc etc). Kinda like WayForward on a much larger scale. It's an interesting move to rebrand your company to incorporate the name of a publisher with such a chequered history and violent collapse, but I hope it works out for them. It's nice to see ol' THQ back in a fashion. Great move. THQ is more recognizable and a better name than Nordic. Combining them would only boost both their brand recognition level. @Kirk I think it might be a tech thing? I know of a couple (small) companies in and around my hometown alone that highlight the Q in their names, be it with a different color or simply having it be the only capital letter in the logo. Dunno, that stuff never really struck me as odd. @MrSands That makes sense. It was founded by the same bloke who set up LJN. All I want is a wrestling game like the ones that had been published by THQ. Something like WWF Wrestlemania 2000, on Wii U, that would have been awesome. Even if it were without WWE license, more like Fire Pro Wrestling. They could have done such great things with the gamepad. Player 1 as a wrestler on the TV screen, Player 2 as his manager on the gamepad, interfering in his matches or booking the next matches or something. 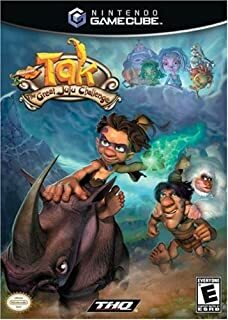 I've always associated THQ with the Tak series, which had a really great first game - Tak and the Power of Juju - followed by some mediocre ones, and a fairly funny TV show. 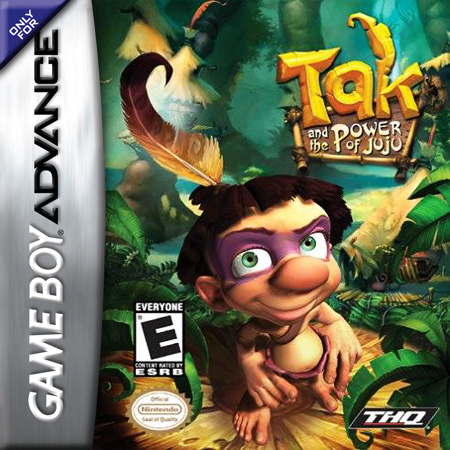 But I think the Jak & Daxter series had a similar name and was more popular so poor Tak was overshadowed. I don't know if Nordic has the Tak IP, Avalanche made the games, but I'd buy a new one, or even a remaster bundle of the series. Games were on the Gamecube and Gameboy. @OorWullie I know what you mean about the shake to jump mechanic, but I have to say I loved de Blob on Wii! Never played the sequel but my kids still play the first one occasionally on Wii U. The logo really works now, as the "Q" makes a good separation point between the two names since it appears stylized as one word. THQ best Nickelodeon and de blob games. Hope to see Spongebob squarepants Battle for Bikini Bottom 2 and de blob 3. Chances are that activision does not have the rights to spongebob anymore because the ones that was made by them are not on the wiiu eshop, xbox store and the playstion store so, I am hoping they got the rights to spongebob and let heavy iron make spongebob great again or they could. Yes I'm looking forward too see what there future projects are and what they will bring too the NX. @Kirk On that Q. Maybe I'm just old, but "Quarters" is synonymous with playing video games. I can't believe people can't think of any great THQ games??? All of their wrestling games on the N64 were great games. I don't even watch pro wrestling and I owned every single one of those games and for a short time actually started watching pro wrestling because of those games. They were awesome local multiplayer games. I would have friends over all the time to play those for hours. Like @Tisteg80 said above, I would be happy if they made another one even if they didn't have the WWE license. ...groan...not a fan. Too many times burned by lame games from them, usually as Christmas presents. I command you to rise from your grave and make awesome games again! Props to Nordic. Over the past 3-4 years they have made some very shrewd moves, including this rebranding. Please don't screw up the Wii U port of Darksiders. I'm really looking forward to play it! @BonafideInfidel They have yet to really publish an exceptional title, but they have been doing some awesome port jobs and remasters. That and giving budget game developers a place to go and still supporting a "unprofitable platform" speaks volumes of these fine folks commitment to providing great service. Congrats to THQNordic! Book of Unwritten Tales 2 is on my 'will buy' list. Makes sense, since both were Nintendo supporters. Nordic have atleast 2 Wii U retails for 2016 thats not kiddie games. Darksiders 1 at 1080p, and Book of Unwritten Tales. @Ventilator Yeah losing THQ's support due to their bankruptcy hurt Nintendo and the Wii U hard. Hopefully THQ Nordic can help the NX where THQ could not with the Wii U. As mentioned above, the THQ N64 wrestling games were pretty much godly multiplayer experiences. What a nice tribute! I hope THQ Nordic does great things. @Wexter : Yes. THQ were a loss because they never abandoned Nintendo. They would support Wii U if they still existed. They had a bunch of proper big title games like SR, Darksiders etc. THQNordic sounds awful. I really don't see why the THQ name should return. Maybe a former THQ-employee started a rebellion. As long as it doesn't have negative impact on Nintendo releases I am happy though! @aaronsullivan I doubt that's what they were going for, but it's a nice idea. @Sir_JBizzle Yeah, in this particular logo it actually works well. THQ and AKI Corporation were a powerful duo back in the day when it came to N64 wrestling games. What many people may not know is that THQ was just the overseas publisher for those titles. AKI made Japan only versions of WCW vs nWo and WWF Wrestlemania 2000 called Virtual Pro Wrestling 64 and Virtual Pro Wrestling 2, they all run on the same engine. The Virtual Pro Wrestling games are the better more polished versions. THQ is also know for being the publisher of Conker's Bad Fur Day in Europe, while AKI also developed the Def Jam series in the mid 2000's. But AKI is now called Syn Sophia and they are known for a series of fashion games on the 3DS called Girls Mode (JP)/Style Savvy (NA)/Style Boutique (EUR). @OorWullie de Blob 2 was multi-platform, so you could play it without motion controls (and in HD, a bonus for a game about color). WH40K: Dawn of War 3 ? Hey THQ Nordic how about patching The Book of Unwritten Tales 2 on Wii U so it's finally playable? De Blob was pretty cool. I wonder if these guys have that IP. @Kirk I always say there is no accounting for company logic, so why the Q is red is anybody's guess, at least in the original logo. They did always have red and white in their logo, so maybe that is why they simply selected the Q to make it stand out, not so much to emphasize the most important part of the abbreviation. On a personal note: when I pronounce the name, the Q also always stands out (as in "th - Q", pronouncing it as "T - hq" sounds off to me), so maybe it is also done from a phonetic standpoint, who knows? 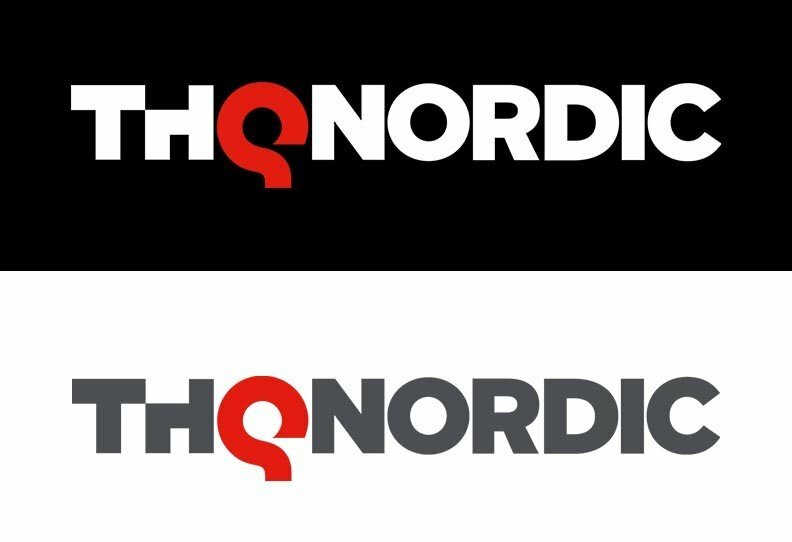 However, in their current logo, the red Q makes perfect sense to me, because it emphasizes the two words and marks the split between THQ and Nordic. The THQ wiki makes for an interesting read, by the way. Here's hoping that the other IP's that they have secured are the good ones and that they are willing to port them to the NX. Seeing as they are also going to bring Darksiders out on Wii U, chances are that this is indeed going to happen. Cool. I always did enjoy some of THQ's publishing work, such as Saints Row, and Darksiders. I also enjoyed some of their licensed work as well, such as the WWE games and some of the Spongebob games, especially Battle for Bikini Bottom, so it's smart to rebrand their company with their name. They could have done a better job at naming themselves, though. That current name doesn't look good. @ThanosReXXX Yeah, hopefully they're up for supporting NX. My respect for THQ grew immensely when they published games Nintendo was afraid of, like Conker's Bad Fur Day. @SKTTR I thought that was only in Europe. Also Nintendo was apparently very supportive of the game and the development of it. They even set up a bar for it at E3 when it was being shown off.